Cognitive therapy, now also known as cognitive-behavioral therapy or CBT, was first outlined in the 1960’s by the psychiatrist Aaron T. Beck before being expanded and developed in the 1970’s. Troubled by his patients’ slow progress using conventional treatments for anger management, he developed a more intense therapy focusing on problem-solving. Cognitive therapy in relation to anger management therapy, is a type of psychotherapy which helps an individual to correct or modify specific thought processes of a negative nature that can lead to anger and cause behavioral problems. Beck came to the realization that negative thoughts which result in emotional and behavioral changes are formed during the thinking process. Therefore, if one could help the person to change their negative way of thinking at this stage, the outcome would be positive in terms of their emotional and behavioral patterns. 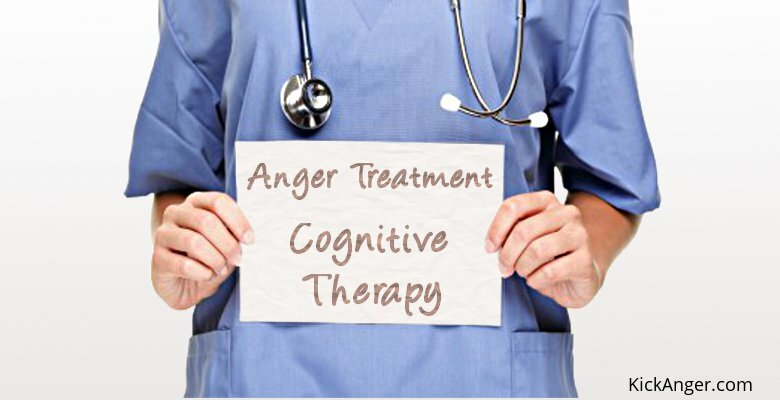 Cognitive therapy, as undertaken during one-to-one anger management counseling and group sessions, aims to modify negative and entrenched behavior patterns so that an anger-prone individual can learn to recognize anger triggers and signs of developing anger. They can then evaluate, channel and deal with rising anger emotions in a responsible and self-controlled manner. Using strategies and techniques such as relaxation and assertiveness training, cognitive therapy has proven to be one of the most effective types of psychological treatment. Its popularity has spread worldwide, and the method is now used routinely by qualified professionals to treat individuals with various behavioral difficulties. This approach can help children, teenager and adults with anger management issues. Many people who suffer with anger-related issues avoid therapy. Some think they don’t need it whilst others see it as a sign of weakness. However, the opposite can actually be said of an individual who seeks anger management therapy. They are strong and determined, willing to take whatever measures necessary to make positive changes in their life. When a person gets to the point where they can admit they need anger management therapy, it is essential to find a therapist who makes them feel comfortable. They must be able to communicate easily with the therapist since this is the person who will play a vital role in reshaping the individual’s life. Building a trusting relationship is essential as the therapy may take many months, or in particularly problematic cases, even years. Psychological tests may be undertaken at various stages, as these can provide valuable insight to the patient’s mindset. Also, it should be noted that each therapist may use different approaches or modified techniques. A therapist will devise a program based on individual needs, so one person’s sessions may be very different from those experienced by others. An important element of anger therapy is being able to talk openly and share emotions, whether good or bad. The relationship between the individual and their therapist should be such that the person can feel free to disclose their innermost thoughts and inhibitions. It is essential that the person feels in a safe an secure relationship because exploring underlying feelings of these thoughts will eventually provide the tools necessary for success. It is through sharing and trusting that a person begins to discover and reveal things about themselves. At this point, an individual will start to work on making changes in their thoughts and emotions which will lead to positive changes in their life. Choosing anger management therapy is a big step and requires the support and encouragement from a network of family and friends. There may be times when progress is slow, so the strength of the network and the relationship bond between the therapist and patient will be a vital component in achieving a successful outcome. However, of paramount importance is the realization by the individual that they hold the key to their success. This involves genuinely acknowledging that their behavior is unacceptable and that positive change requires them learning to control their anger. Finally, it is very important that anger or rage-prone individuals be assessed in order to eliminate any underlying medical causes e.g. a brain tumor or chemical and hormonal imbalances.